Las Vegas drug laws are not like Seattle, San Francisco or Denver’s drug laws when it comes to expunging records. What all of these locations have in common is that they have all legalized marijuana for adult recreational use. Citizens are anxiously waiting for the records of people that have been convicted of breaking laws that are no longer illegal to be sealed. Concerned loved ones and friends would also like to see inmates serving time for low-level non violent marijuana crimes released from prison. California, Colorado and Washington authorize district attorneys to expunge many records all at once in certain circumstances. Nevada does not. 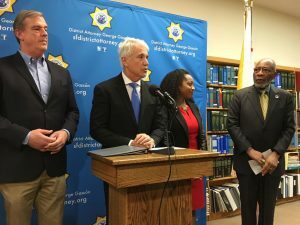 San Francisco’s district attorney, George Gascón, expunged over 3,000 records all at once earlier this year. Las Vegas residents have turned to their District Attorney Steve Wolfson to see what his reaction would be, but his response did not have the same tone. 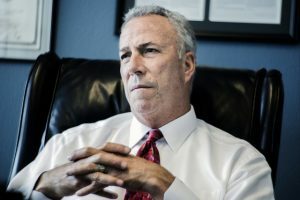 “I’m not going to take an active role in seeking the vacation or seeking the dismissals,” Clark County District Attorney Steve Wolfson said in a recent interview. “If someone files such a petition or motion, we will review those on a case by case basis,” Wolfson added, noting that his office routinely handles such requests on varying types of cases. In all reality, District Attorney Wolfson could have responded differently because it is not really his decision to make. Nevada state laws regarding marijuana do not allow district attorneys to expunge large quantities of records all at once, or even to expunge a single record on their own. A petition needs to be be made by the convicted party and the district attorney must look at the petition on a case by case basis. Long time marijuana legalization advocate, Nevada State Senator Tick Segerblom, addressed questions concerning Nevada’s rules for expunging records. “They looked into the issue and found that, while Nevada’s and California’s laws are somewhat similar in that both allow a person to request a court to seal their past criminal records relating to marijuana crimes, nothing in Nevada’s laws would authorize a district attorney to seal those records on their own,” Segerblom told the Review-Journal. Other groups believe that there are more alternatives for District Attorney Steve Wolfson but that he simply is not pursuing them. Governor Sandoval agrees with DA Wolfson and vetoed Assembly Bill 259 last year which would have broadly expanded laws for closing records and reducing sentences. He believed the bill too broad and said Nevada had already reduced the amount of time a request could be made to have a record sealed. “To the extent that there are individuals suffering under criminal records for conduct now legal in Nevada, those cases are best handled on a case-by-case basis,” Sandoval added. 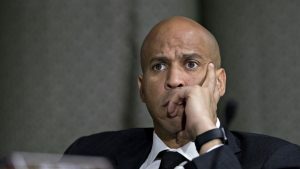 Many people and legislators around the country support New Jersey Senator Cory Booker’s Marijuana Justice Act that focuses on mending the injustices of low-level marijuana crimes nationally. 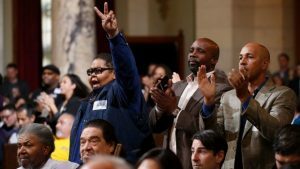 The bill also focuses on the racial disparities that exist in non violent low-level marijuana crimes. Do you believe that it is only fair for a state that has legalized recreational marijuana to free inmates and expunge the records of people that were guilty of something that is now legal? After being federally convicted in 2011 in LV, legally registered with Nevada DOJ as mmj patient. Under cover detective showed me his mmj patient I’d and ask me to share $40 of my personal mmj, that I bought from LV licensed​ mmj store. Arrested me stating “we are not after you, unless you don’t help.